Perforations are commonly seen on metal ceilings, reducing noise and creating a comfortable space. 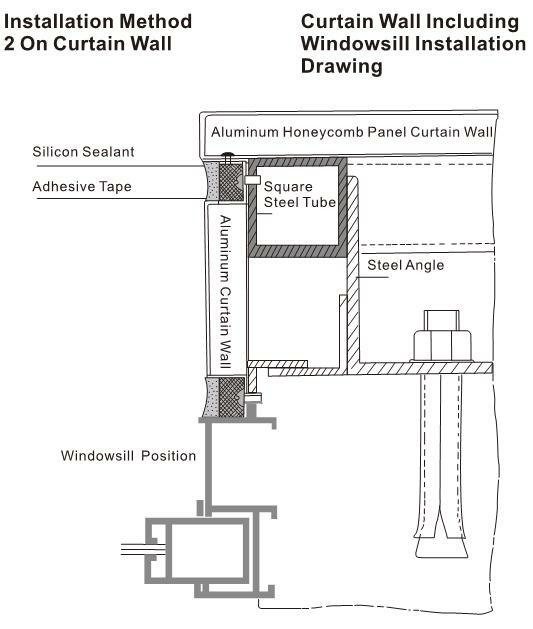 To stick acoustic paper or mineral wool to the back of perforated ceilings is very conducive to add absorbed dose of an enclosed space, and further reduce noise pollution. 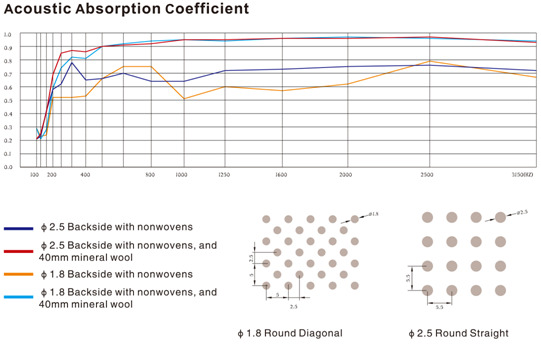 Below are different types of perforations. 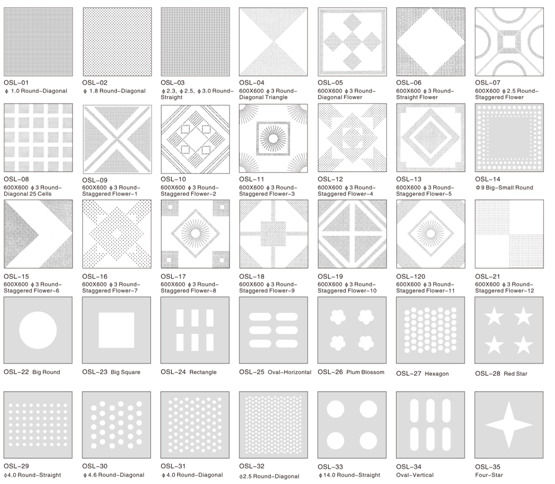 Each type can be done in various open area ratios to fulfill different acoustic. Additional perforations and sizes are available as custom options. 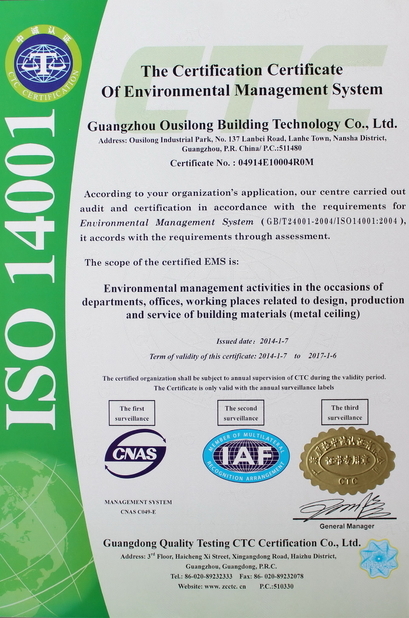 Industrial and civil buildings, special buildings, building curtain wall, interior partitions, suspended ceiling, wall, airport, bus station, museum, opera house, exhibition hall, shopping centre, conference hall, bar and etc. offer versatile scope for design. Thus, you can flexibly change your room layout. 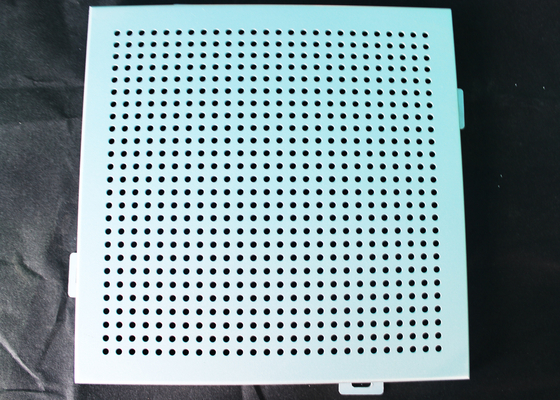 OUSILONG Acoustic Absorption Coefficient panel has both different size of the perforations and various perforate patterns. 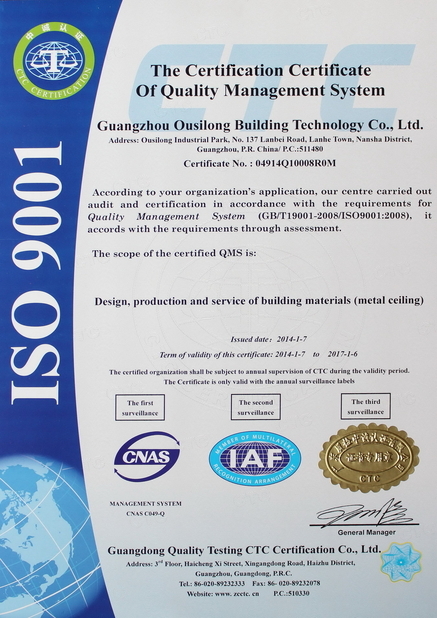 China Good Quality Suspended Metal Ceiling Supplier. Copyright © 2014 - 2019 suspendedmetalceiling.com. All Rights Reserved.